Professional makeup artist, Brettnee Nelson has had a lifelong love affair with the arts. Born into a family of artistically creative individuals, it's no mystery where her passion and inventiveness was formed. After years of pounding the corporate pavement, Brettnee decided to pursue the career that fulfilled her artistic desires. It didn't take her long to discover that what inspired her first was the beauty she could create with makeup brushes. She has the innate ability to bring out the natural beauty of her subject, no matter the gender, ethnicity or character portrayal. Brettnee has embarked on an inspired quest to become a highly sought after makeup artist. During her 5 years as a makeup artist for MAC Cosmetics, her clientele grew at an intensely rapid pace. She has beautified faces for a variety of events including weddings, proms, photoshoots, TV, video and runway shows. In 2009, Brettnee established "Painted by Brettnee". 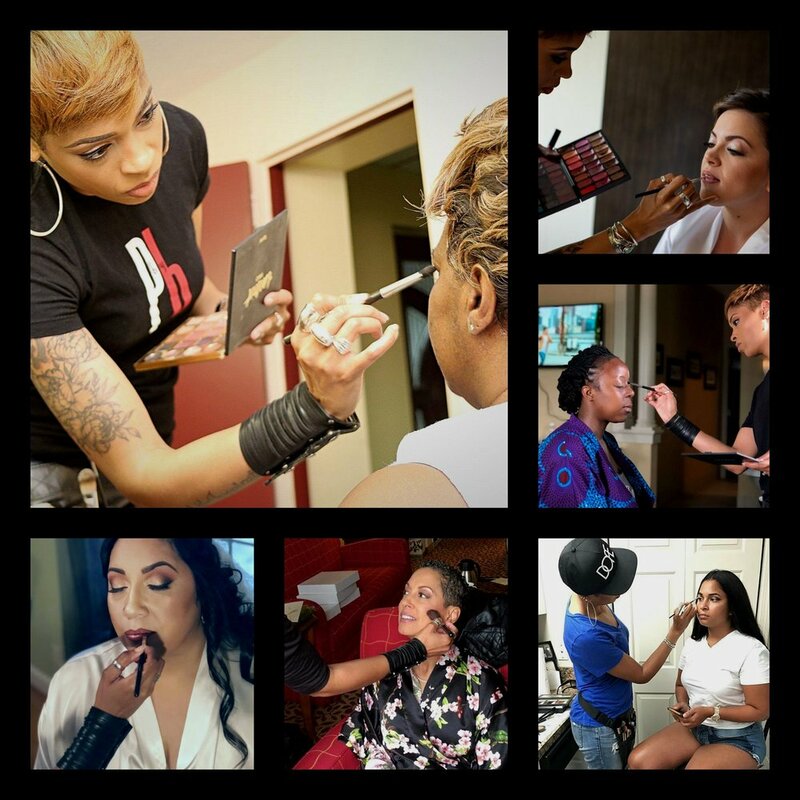 She is able to provide services and consult clients on how to perfect their skills at doing their own makeup. Whether her responsibilities take her on location to a motion picture set, television studio, music video or to a photographic makeup shoot; Brettnee displays her mastery for creating a flawless look. All images used courtesy of: David J Hall Photography, Timefrozen Photography, Michael Orzell Photography, Nedari Photography, Linkz Media Photography, F.i. Photos, Parsons Photography and Jason Farquharson.